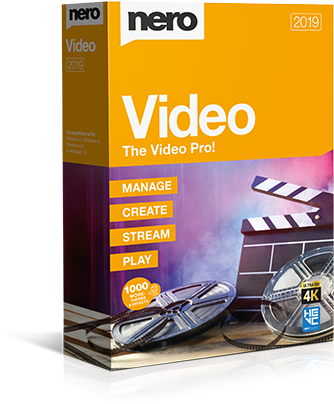 Nero Video 2019 – Simply better Videoprojects! 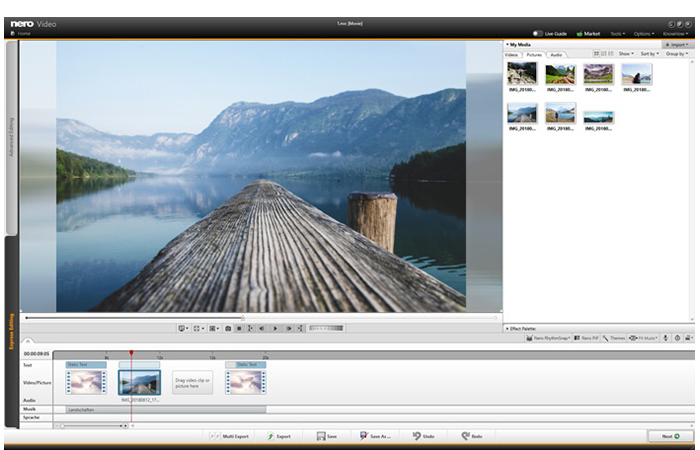 Nero Video 2019 leaves nothing to be desired when it comes to creating videos and slideshows quickly, easily and professionally. 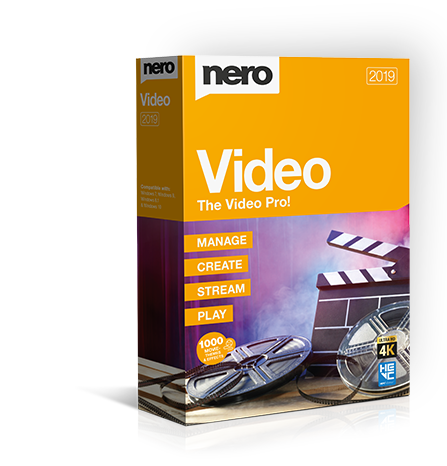 Nero Video now has a whole range of special features ready for you. With over 1000 movie themes and effects, there are virtually no limits to your creativity. Discover the benefits of Nero Video 2019 today. 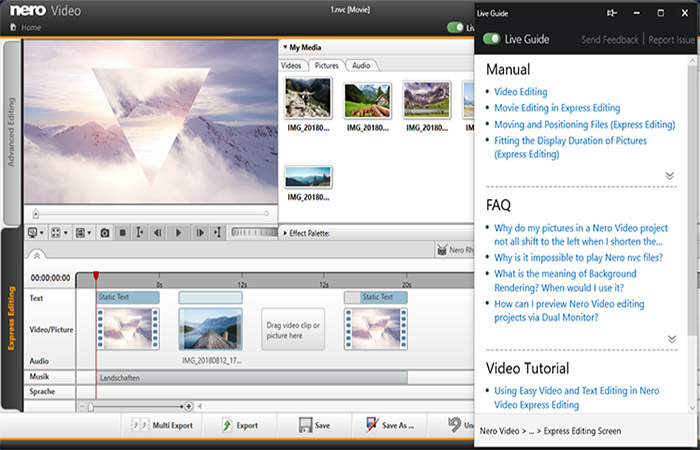 Use the context-sensitive Live Guide in Nero KnowHow PLUS for your video editing projects. Get inspired by our new templates. Whether scary, cheerful, colorful, or black-and-white - Nero Video 2019 has something for everyone. 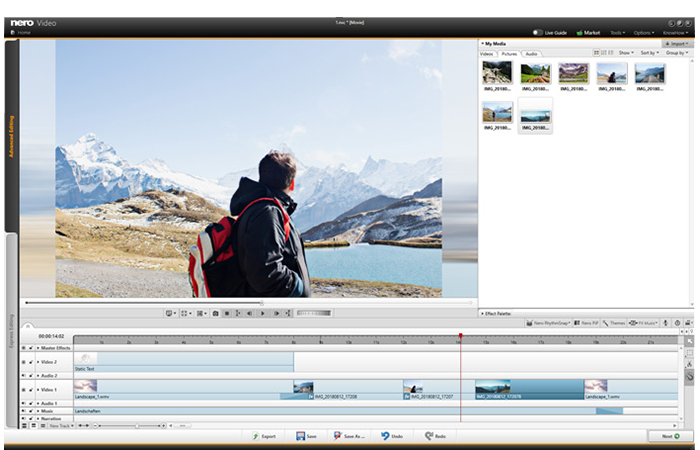 Save time with the Express Mode: edit your videos faster and more effectively than ever before! 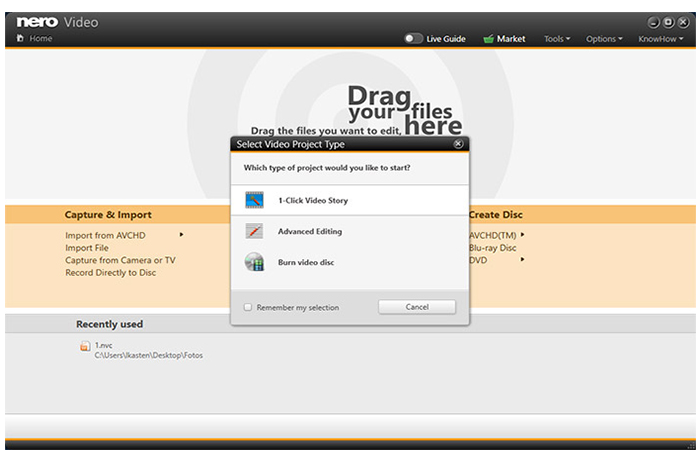 Simply drag and drop your files into the Nero Start drop zone. The practical 1-Click Video Story turns your data into a complete film in no time at all. 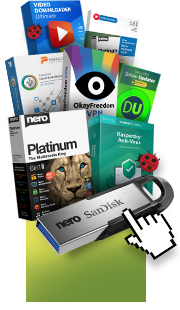 Get started: Easily transfer your videos and image files from your mobile devices, external hard drives, USB sticks, camcorders and HD- and 4K cameras to your computer and store them centrally in your Nero MediaHome media library for further processing, along with a wealth of information such as recording date, locations or people depicted. Here you can now also archive and watch your movies and TV series in absolutely no time at all. Movie titles and movie posters are created automatically. New: Access your OneDrive online files (Files On Demand) and download your pictures, videos and music only when you need them in a project, thus saving yourself a lot of storage space on your PC. Put your photos in the limelight: Create perfect movies and slideshows with 1-Click Video Story. Complete with music, effects, entry and exit, you can share your movies in a flash. Captivate your audience with countless effects, such as tiltshift, old film, slow-motion, titles, transitions, audio filters, keyframe animations and much more, via express- or advanced video editing. With the new 1-click bar remover, you can enhance your photo- and video material and get it ready for the optimum film experience on a large TV screen. Create professional videos quickly and easily: Add a wholly personal touch to your videos with over 1000 movie templates and other effects. With the diverse range of new film templates, including effect drop zone, you can automatically create your own very personal films on themes such as family, parties, children, travel, action and more. Black bars on widescreen TV are now a thing of the past. Even upright videos and photos from your phone can be easily imported as vertical video, edited and perfectly staged thanks to Vertical Video Templates. Best films for happy viewers: Nero Video 2019 doesn&apos;t compromise when it comes to format selection either. Edit the highest quality 4K, Full HD and SD movies. Export even single scenes from long movies in one go. Give your DVD-Videos™ and Blu-ray Discs™ the finishing touch with numerous high-quality disc menus on many themes. Then easily design your disc cases with Nero CoverDesigner and play your video disc professionally, complete with menu and chapter selection, on your DVD and Blu-ray player in your living room. Transform your living room into a cinema: Nero Video 2019 convinces with extensive streaming functions. Slideshows or videos on your TV, music from your smartphone media library, videos on your tablet? Everything is possible with the free Nero Streaming Player app. And with the free WiFi+Transfer app, you can transfer your videos and pictures wirelessly from your mobile device to your PC and vice versa in no time at all. Both apps are available for iOS and Android devices. Decide for yourself when prime time is: Morning, noon or evening: play audio and video files in a variety of formats exactly when you feel like it. Playback of photos, stylish slideshows, video DVDs and 4K/Ultra HD videos is now even easier. You can also easily manage and play your archive of films and TV series, which is exactly what one should expect for primetime nowadays.